ChoiceQuote is an independent insurance broker that was founded in 1995. Since then, our customers have depended on us to give them the best prices for all types of insurance. We specialise in ‘wheeled’ businesses and work with a panel of the best insurance firms in the business to get you deals that aren’t available elsewhere. As a leading insurer of wheeled businesses, we provide all types of specialist minibus insurance, regardless of the type and size of vehicle you drive. We will take the time to find out about your requirements, and there is no ‘one size fits all’ cover that could leave you at risk. 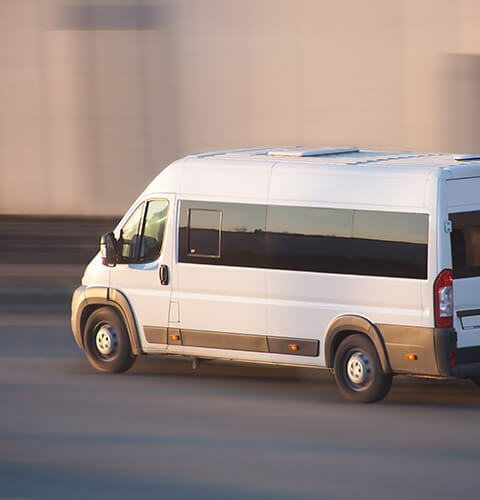 We cover individual minibuses under our commercial van insurance policy. You can choose between third party, third party plus fire and theft, and comprehensive cover for your vehicle, including 8, 12 and 16-seater minibuses. This insurance can be purchased as a standalone policy or in combination with another type of insurance, such as Public Liability insurance for a great value package. You can incorporate features for your individual circumstances, such as free EU cover and additional cover for named drivers. We offer a range of add-ons such as AA accident and breakdown cover. Our brokers negotiate the best deal on your behalf taking into account your individual circumstances. If you have five or more vehicles you can benefit from fleet minibus insurance cover, which could save you money and gives you the benefit of administering a single policy. Our team of experienced brokers provide custom-made insurance for all types of wheeled businesses, including motor trade insurance, courier insurance and fleet insurance. In any of these instances, we will give you a quote that gives you the best quality, legally-sound insurance for the minimum price. You can phone us today, use our online form to request a callback or get in touch by email. We can provide you with instant cover today.